Anupama Kundoo’s internationally recognised and award-winning architecture practice started in 1990, demonstrates a strong focus on material research and experimentation towards an architecture that has low environmental impact and is appropriate to the socio-economic context. Kundoo has built extensively in India and has had the experience of working, researching and teaching in a variety of cultural contexts across the world: TU Berlin, AA School of Architecture London, Parsons New School of Design New York, University of Queensland Brisbane, IUAV Venice and ETSAB Barcelona. She is currently Professor at UCJC Madrid where she is Chair of ‘Affordable Habitat’. She is also the Strauch Visiting Critic at Cornell University. Kundoo’s work extend to urban design and planning projects, with her background in rapid urbanisation related development issues, about which she has written extensively. She taught urban management at the TU Berlin and recently proposed her strategies for a future city for Africa, as part of the Milan Triennale 2014. She is the author of ‘Roger Anger: Research on Beauty/Recherche sur la Beauté, Architecture 1958-2008’ published in Berlin by Jovis Verlag in 2009. Her latest publication is a book chapter ‘Rethinking affordability in economic and environmental terms’ in the Routledge book ‘Inclusive Urbanisation: Rethinking Policy, Practice and Research in the Age of Climate Change’, 2015. 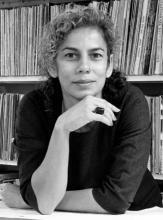 Anupama Kundoo was born in Pune, India in 1967. She graduated from Sir JJ College of Architecture, University of Mumbai in 1989, and received her PhD degree from the TU Berlin in 2008. In 2013 Kundoo received an honourable mention in the ArcVision International Prize for Women in Architecture for ‘her dedication when approaching the problem of affordability of construction and sustainability in all aspects’.